Punjab police chief DGP Suresh Arora recently urged India’s Ministry of Home Affairs to take ‘sympathetic view’ in favor of Punjab cops who are facing trails on murder and other counts. These cases were registered by the CBI after holding thorough investigation on the directives of SCI. In an earlier write-up the Sikh Siyasat News (SSN) analyzed DGP’s statement with background context and explained that the DGP is asking the state to obstruct the legal course and imposed impunity. 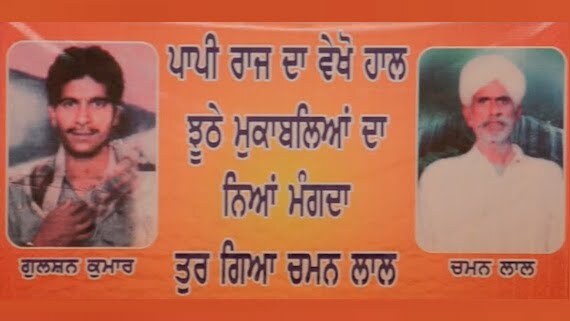 In this write-up brief facts related to case file of Victim Gulshan Kumar are being shared for the information of readers of the Sikh Siyasat News. The facts are extracted from a Judgement of Punjab and Haryana High Court in CRR No. 3854 of 2016. Gulshan Kumar, 22, was a vegetable seller. 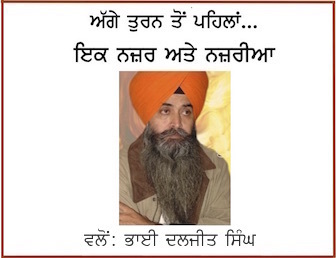 He was a son Chaman Lal who had migrated from West Punjab during the partition of 1947 and settled in Tarn Taran in East Punjab. On 22 June 1993, DSP Dilbagh Singh picked up Gulshan Kumar at around 10:00 pm in the presence of locals on the charges of theft. The DSP, who was accompanied by other police personnel, also picked up Gulshan Kumar’s father Chaman Lal and two other sons of Chaman Lal. The police had also picked up sister of Gulshan Kumar who was released on intervention of locals residents. At P.S. 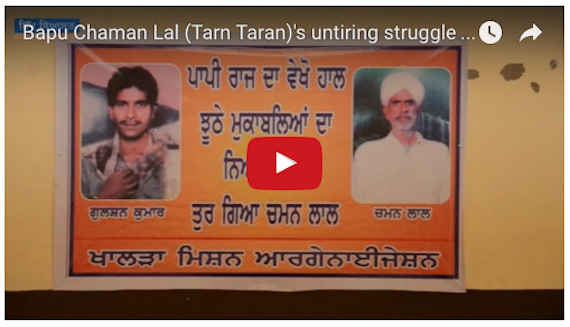 City, Tarn Taran, all the members of my family were given severe beating. Excepting Gulshan Kumar, all the boys and me were released after 4-6 days. Gulshan Kumar was not released. On being released Chaman Lal and his son Balwinder Raj used to served tea/meals to Gulshan Kumar regularly in police station. Till 21 July 1993, Gulshan Kumar was seen regularly by his father in the said police station but on 22.07.1993, Chaman Lal found that Gulshan Kumar was in the police Station. 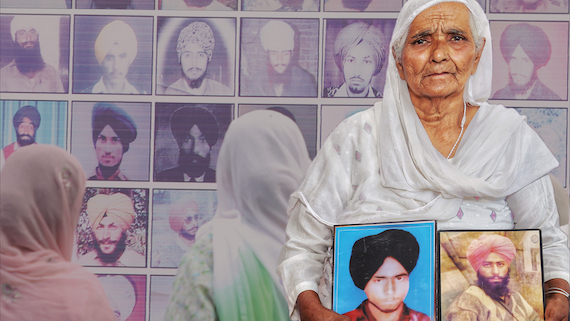 In his statement, which is now part of case records, Chaman Lal said that the police did not allow him to take tea on 22 July 1993 for the deceased. In his statement Bapu Chaman Lal said: “On 23 July 1993 through newspaper, we came to know about killing of deceased in police encounter which took place near Palasaur near to some ‘nallah’ (drain). Police did not give us his dead body although I visited P.S. for the same. They cremated him as ‘lawaris’ (unclaimed). His ashes also could not be collected”. On investigation and after recording statements of witnesses, CBI found the version as contained in the FIR as correct. Mohan Lal and Chaman Lal sons of Gopi Nath and Balwinder Raj son of Chaman Lal have stated they were regularly serving tea and meals to Gulshan Kumar at Police Station City Tarn Taran. Quoting CBI investigation, the High Court notes that witness Swaran Singh has also witnessed the illegal detention of Gulshan Kumar in the lock up of Police Station City Tarn Taran as he had also remained in that lock up during July, 1993. The story of encounter dated 22 July 1993 was found false and fabricated. The independent witnesses cited by the police denied to have ever visited the scene of encounter or identified the deceased. The CBI investigation also revealed that Dalip Singh son of Laxman Singh, who is alleged to have identified the deceased through their photographs, denied that the deceased was known to him or he had ever identified them. The revolver alleged to have been recovered from the scene of encounter was found as planted by the police and all the documents like seizure memo etc. were found to be fake and fabricated. Gulshan Kumar’s case is one of the few cases of fake encounters in Punjab that were investigated by the CBI. Proceedings in these cases had remained stayed for 14 years (2002 to 2016) due to stay installed by the Supreme Court of India (SCI) as a result an nonagenarian father, who was eyewitness to illegal custody of his son who was ultimately eliminated in fake encounter, was deprived of the opportunity to get his statement recorded before the court. Bapu Chaman Lal who lived for over hundred years and fought to secure justice for his son for last quarter of his life died on 30 June 2018 without being afforded the opportunity to depose before the court. In his public meetings he used to openly say that the culprit cops killed his because he did not have the money to bribe the cops to get his innocent son released from their illegal custody. It is for cops like these, who killed Gulshan Kumar, the Punjab DGP is asking for impunity under the garb of ‘sympathetic view’ on ‘humanitarian grounds’. Do you think that that they should be granted such a view which would allow them to escape the judicial proceedings?